Incredible Log Home on almost 80 Acres; Horse Barn with riding area & 3 stables; 4 stall (33x40) garage; Outbuilding(33x40) for all your toys or workshop; Outdoor Pavilion (40x30); Stone lined Stocked Pond w/ Boat house; Incredibly wooded setting; Plentiful wildlife including deer & turkeys; 2 fenced-in riding areas. 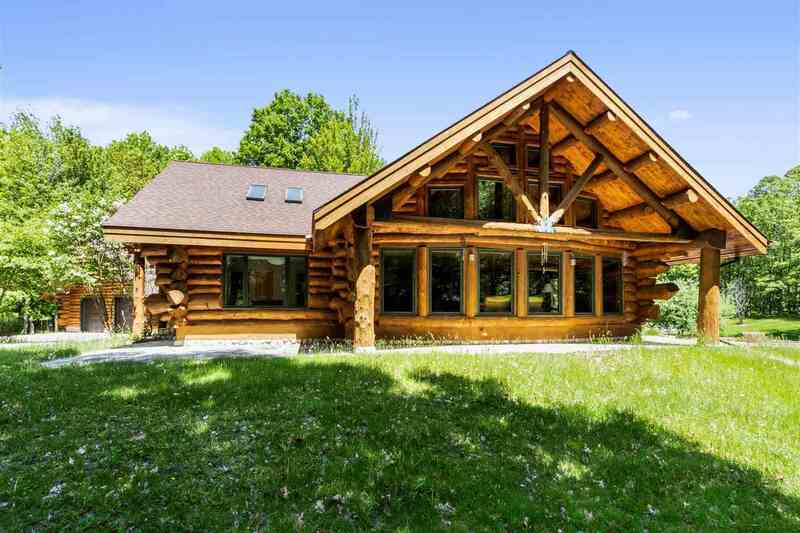 Gorgeous with full log beams spanning the entire home; Floor to ceiling stone fireplace; Wall to wall windows with awesome views; Beautiful hardwood floors throughout. 5 beds & 3 full baths; Loft with bedroom & Walk-out lower level with rec room, full bath & sauna. Directions: Hwy 64 From Marinette To North On Bagley Rd.